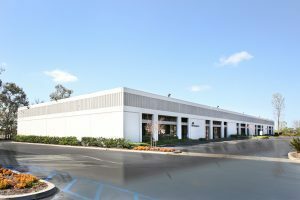 Assignment: In 2013, the Hefner Vernick Team was awarded the leasing assignment from LBA Realty for the Brea Central Business Center, an 84,000 square foot multi-tenant industrial park. After a successful leasing effort and stabilizing the asset at 100% occupancy, the ownership elected to sell the project in 2015 as a leased investment. With a lack of small building development and extremely limited existing building inventory, the market was ripe for a condo conversation strategy. The business park was presented to Guthrie Real Estate Group, who specializes in condo conversions of smaller and mid-sized industrial properties. Guthrie was willing to purchase the property at a premium price relative to more passive investors and converted the project from a business park into individual units. This "break up" condo strategy enabled the Hefner Vernick Team to assist Guthrie in selling each unit separately to owner users at significant price premiums, thereby substantially increasing their return on investment. Units Size Ranges: 4,000 – 10,000 Sq. Ft.